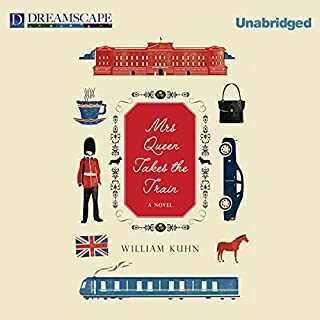 Would you consider the audio edition of Mrs Queen Takes the Train to be better than the print version? Yes - many of them. Simon Prebbles is one of the very best book performers ever. Love him. I wandered into this book because of the place, subject and mostly the narrator. What a wonderful story. Beautifully woven. Loved it. 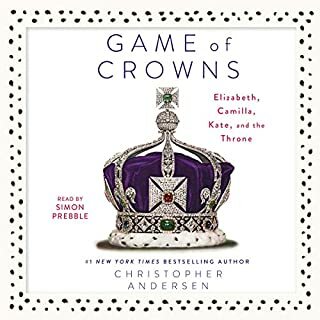 What made the experience of listening to Game of Crowns the most enjoyable? Have really enjoyed the author's work on other stories - this is also fun.Simon Prebble - couldn't have chosen a better voice for this book. Yes - really ruined all my plans for the week-end! Couldn't stop listening! Would you listen to Queen of Hearts again? Why? I have really enjoyed this series. The stories and characters are well developed and the author does an excellent job of setting the scene. Katherine Kellgren is an incredibly talented narrator. Her range of character voices is truly super-human. Indispensable to the success of the series. Disaster strikes the vineyards in Alsace. Vintners are tense and old grudges surface. The Winemaker Detective's reputation is on the line as he must find the cause before the late harvest starts. Winter is in the air in Alsace and local customs are sowing trouble, piquing the curiosity of the famous winemaker from Bordeaux, Benjamin Cooker. While the wine expert and his assistant Virgile settle into their hotel in the old city of Colmar, distinguished vineyards are attacked. Is it revenge? 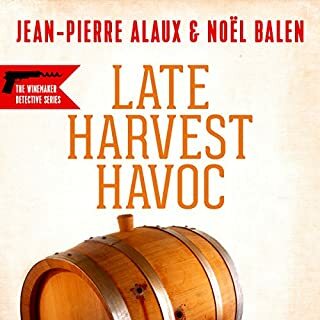 What did you love best about Late Harvest Havoc [Vengeances tardives en Alsace]? This series places the reader/listener at the scene. The narrator is perfect. The more I listened to the story the more I wanted to know what was next. Of course, Benjamin Cooker. But Virgil is a terrific counter to him. The final pay-off at the end - the resolution of some key deaths and crimes was very clever. Very worried about Benjamin Cooker. He seems to have too many fainting spells and cold sweats. He can't keep eating those rich foods and smoking those Cuban cigars forever! 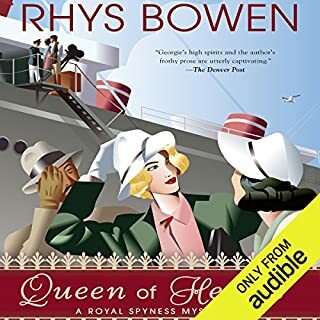 Good story but the voices of Queenie and Fig are too too irritating. No more of this series for now. Benjamin Cooker is a renowned winemaker and critic turned gentleman detective who sets out to find who is trying to take down the prestigious grand cru Moniales Haut-Brion. Is it negligence or sabotage? Who would want to target this esteemed vintner? Cooker and his assistant Virgile Lanssien search the city and the vineyards for answers, giving listeners and inside view of this famous wine region. 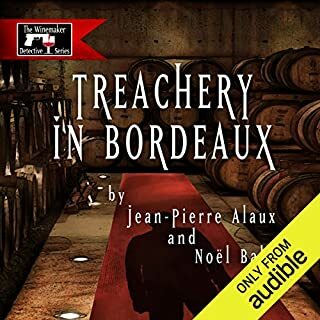 Treachery in Bordeaux is the first of the 20-book Winemaker Detective series. 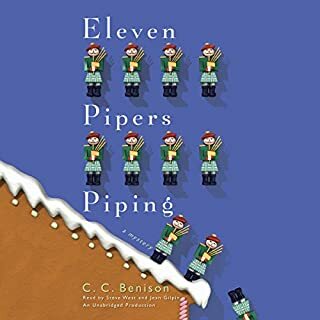 The stories in this series, starting with this first book, are beautifully told and narrated. The descriptions are vivid and the characters well-developed. So glad there are 20 of these! 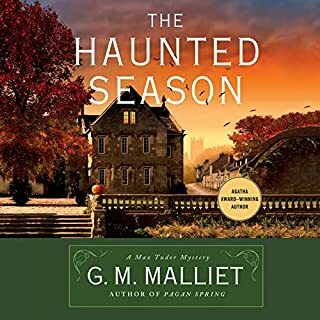 What made the experience of listening to The Haunted Season the most enjoyable? The author's reading of this book, like all the other Max Tudor mysteries, is great. 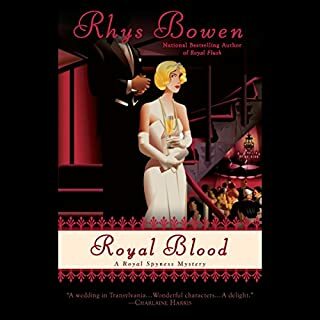 The Max Tudor mysteries are excellent, taken as individual books, but the greatest fun is in reading/listening from the first book, in succession. The author has fabulous twists and turns and the characters are well developed. Michael Page - I can really envision the characters by the way he uses his voice. Although - there are some recording edits called for in the first few chapters. I think it's an 8-hour book, right? impossible. These books are terrific to listen to while driving on a long work commute, to end the day, while doing chores, or just hanging around. Fantastic. Always sorry when they're over. 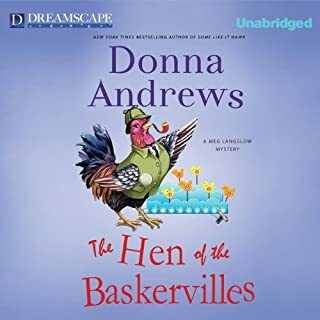 Molly is terrified that she may lose her farm because her idle husband has left her for a rich hobby winemaker and is demanding his half of the land. 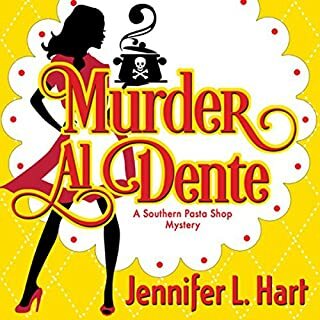 Meg enlists Mother's help to find Molly a divorce lawyer, which Mother is all the more willing to do because the unfaithful husband's new girlfriend is the bete noire of the wine pavilion. She is so universally disliked that Meg begins to worry about her safety. But it's the unfaithful husband whose murdered body she and Michael find that night. Lots of fun, great character and setting development. Very entertaining not too heavy. Good story! Not deep or disturbing, just entertaining. Enjoyed the narrator - good job. I would recommend this to light mystery lovers.